“I had a chance encounter today with an interesting woman. A rather remarkable woman. An archaeology professor (part time!) called River Song. Initially she came across as aloof, distant, with an air of superiority. It was obvious that she possessed a great intellect, as wide and deep as The Boundless Sea; it seemed that she had traveled much farther than any of us could have dreamed. But she also had a bit of a naughty side to her, something I can only describe as a mischievous nature. And she had the most bizarre implement. She called it a . . . sonic trowel. I’ve no idea what she meant by that. How can a trowel be sonic? 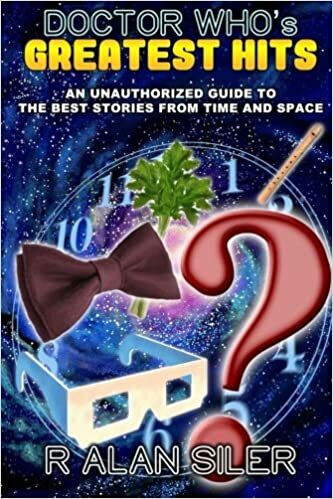 If you enjoyed this review, please purchase a copy of my book Doctor Who’s Greatest Hits: An Unauthorized Guide to the Best Stories From Time and Space!